The modern town of Lod, located some 7 km south of Ben Gurion International Airport, is constructed over an archaeological site on the banks of the Ayalon stream. Neolithic, Bronze Age, Roman, Byzantine, Early Islamic, Frankish, Mameluke and Ottoman periods have been reported in the tens of excavations that have been carried out over the years. The earliest settlement–that of the Neolithic and Bronze Ages–was under the northern part of the modern town, where large banking and hi-tech buildings have recently been erected. With time, the settlement core migrated to the south, along the west bank of the Ayalon. What remains of the old Ottoman town is in this section, built over Roman, Byzantine, Early Islamic and Mameluke remains. This is where we the townspeople–mostly schoolchildren are excavating. The Lod project involves seven different schools, the Lod municipality and education branch and many local grass-roots organizations. 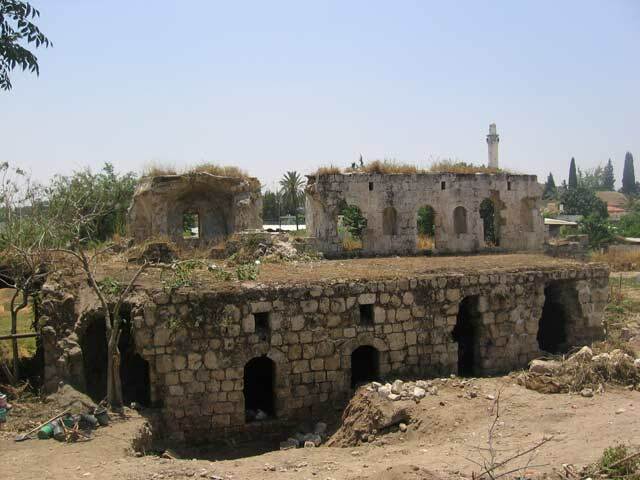 We are excavating in the Ramat Eshkol neighborhood, in and around the Ottoman caravanserai, Khan el-Hilu. Our primary goal is to encourage a positive sense of local identity by uncovering Lod’s illustrious past. By involving all the town’s ethnic groups–Jews, Moslems and Christians, Ethiopians, Russians and Arabs–we hope to engender camaraderie and familiarity amongst the participants. Perhaps we can help reduce the social tensions in what can be a tough place to live. Perhaps we can help provide intellectual stimulation and an alternative to destructive, antisocial behavior that is too common here. Concurrent to excavations, supervised by the NGSBA, conservation work is being carried out at Khan el Hilu by the Genesis organization.